Signal Solutions is a relatively young company but with highly experienced employees. We focus on RF/Microwave, Fiber Optics, EMC and Shielding technology. We are all engineers with long experience from the industry. Our core value and motto is to always provide best in class service to our customers. With us, the focus is the best for the customer! Signal Solutions targets to be a total solution provider in the RF/Microwave, EMC and Fiber Optics technology fields for R&D labs, Test Sites, Manufacturing Facilities and Data Centers. We sell state of the art components and systems and provide our knowledge to our customers. Our aim is to always start from our customers needs and provide best in class service, whether the need is to lower OPEX or CAPEX, improve performance, shorten lead times or to simplify the buying process. The Suppliers of Electronic Instruments and Components Association (ELKOMIT) is a nationwide trade interest group for commerce and trade. ELKOMIT was founded in 1972 and has major companies as members. The general goal of 5G Test Network Finland (5GTNF) is to fill the gap between laboratory-based 5G and beyond testing environments and commercial network deployments, offer trialing support and tailored infrastructure configurations for telecom and vertical industries and scientific community and strengthen Finnish ecosystem position in beyond 5G R&D and utilization of 5G and AI. 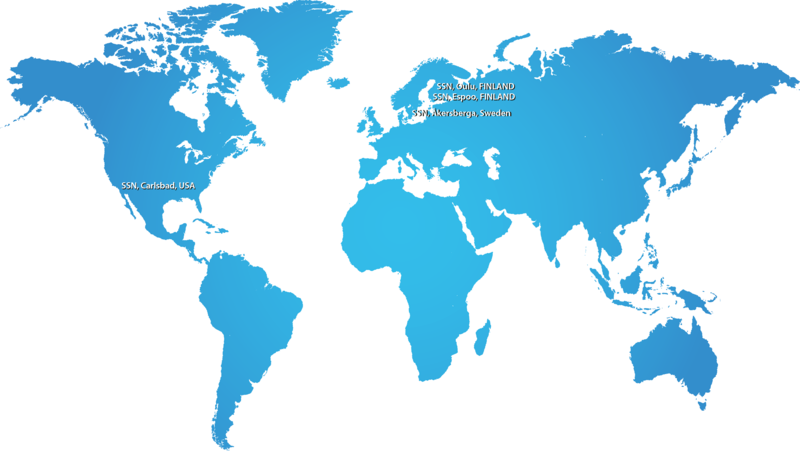 FDCF provides the ecosystem for cloud & data center business in Finland. FDCF – Finnish Data Center Forum ry is an independent, nonprofit association dedicated to drive data center and cloud business and to connect the data center field professionals together. With the establishment of the International Data Spaces Association (IDSA), business and research take an active part in designing a trustworthy architecture for the data economy. The IDSA aims to guarantee data sovereignty by an open, vendor-independent architecture for a peer-to-peer network which provides usage control of data from all domains. Photonics Finland is a technology oriented association that drives the photonics industry in Finland by connecting Finnish photonics companies, research centers, and public authorities. Photonics Finland supports the development of the photonics field from basic research through to the deployment and market launch of products. TRACE is a globally recognized anti-bribery business organization and leading provider of cost-effective third party risk management solutions. Members and clients include hundreds of multinational companies headquartered worldwide. Their mission is to advance commercial transparency worldwide.